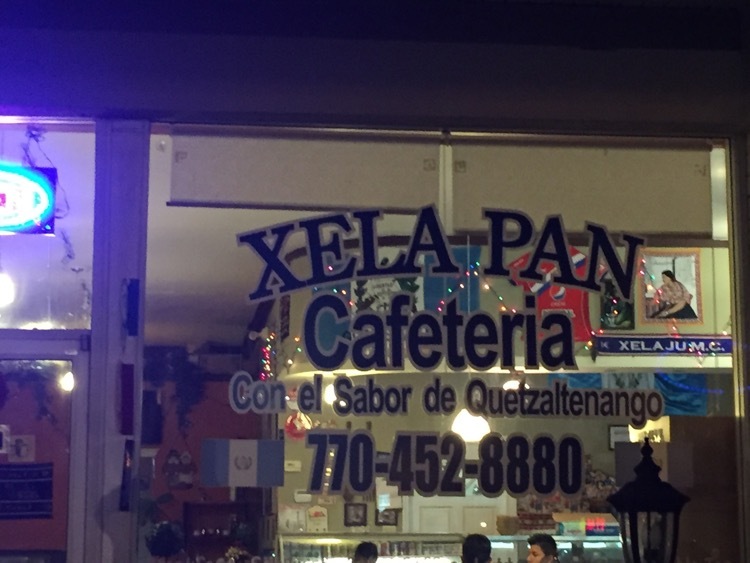 One of my buddies sent me an email the other morning from Atlanta Magazine about Xelapan Cafeteria, telling me that we needed to try the place. The review pegged it as my kind of place – the menu is not in English and there may or may not be somewhere there to interpret it for you (I’ve linked the article here). Of course I decided to head there as I went downtown this evening. 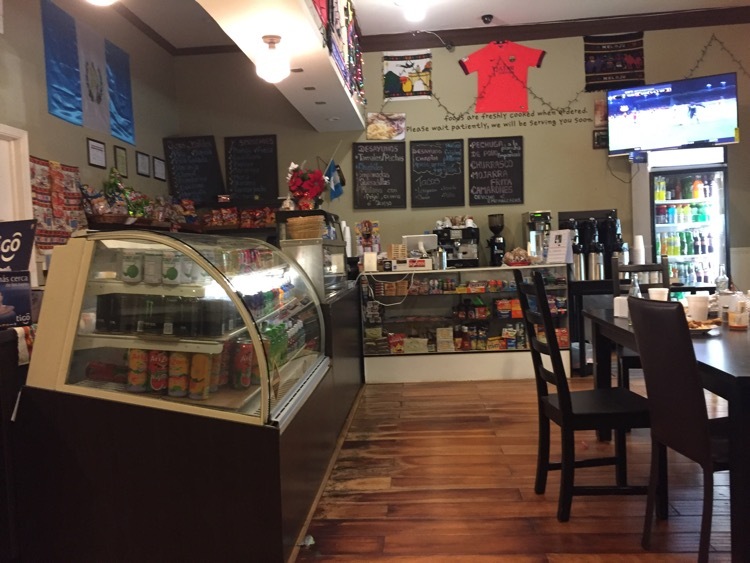 Walking in, I was prepared to struggle through ordering with my extremely rudimentary Spanish and was reviewing the menu picking out the words that I knew (I recognized tongue, pork sausage, beef and chicken, all under the tacos heading). Luckily, the young lady at the counter had no problem with my English and was very helpful. 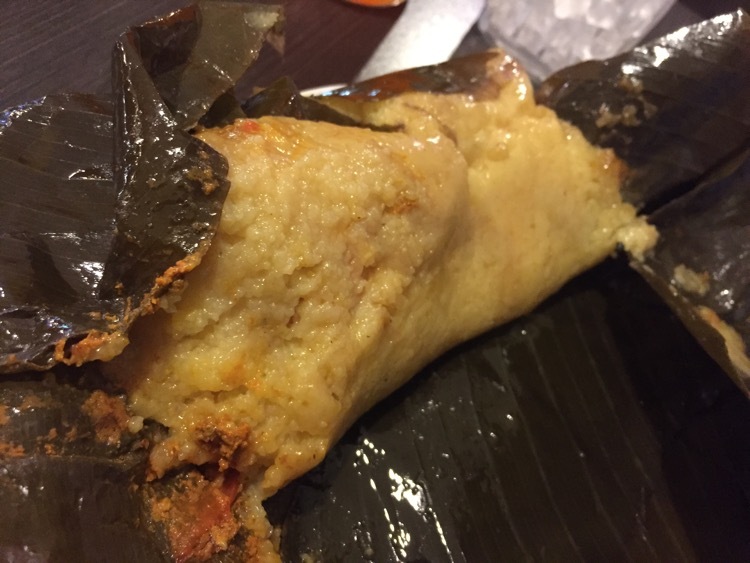 One of the unique things about Guatemalan tamales is that the masa is not made exclusively of corn (the corn masa ones are called chuchitos) – they also use rice masa (tamales) and potato masa (paches). They were sold out of paches, so I had one each of the other two: a tamale and a chuchito. And, for good measure, an empanada. The tamales and chuchitos were already made, so they arrived quickly. 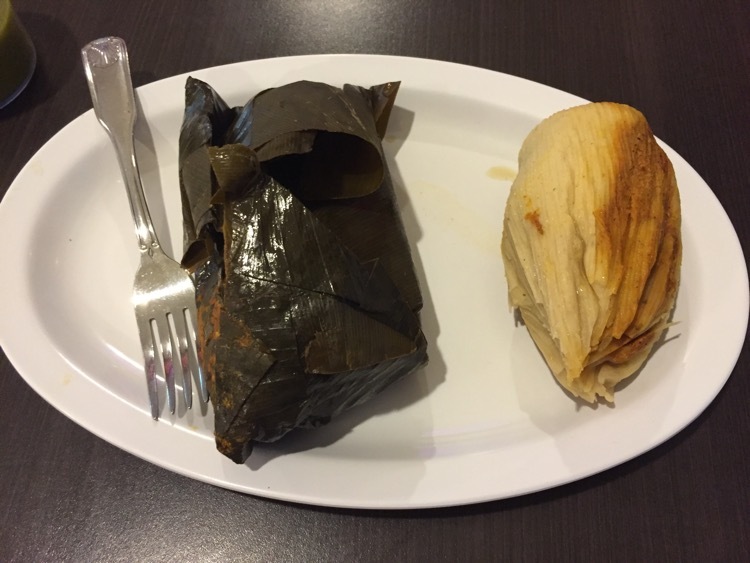 I started with the chuchito (on the left) and I unrolled the banana leaves back to find the gooey delight in side. I had been warned, so I wasn’t completely surprised when I dug my fork into it and hit bone. The chicken in these is actually stewed chicken wings and drumettes. 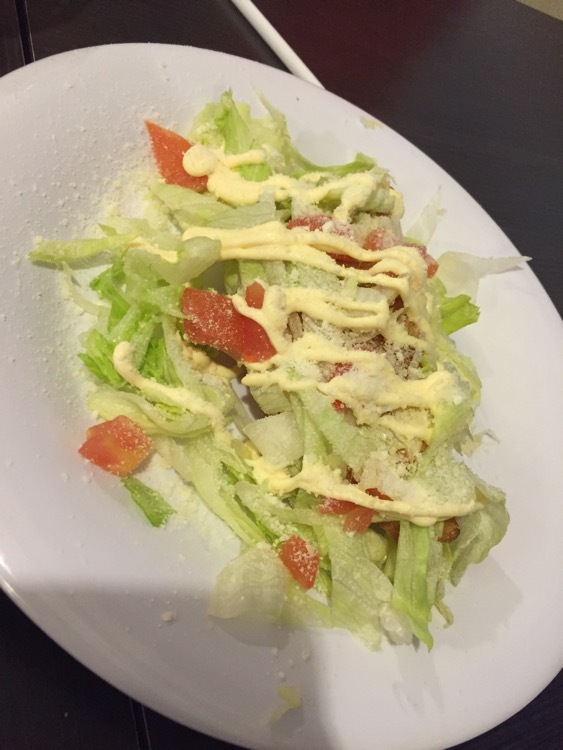 topped with lettuce, tomato and cheese. Nothing here was quite what I expected. The empanada was good, but the chuchito and the tamale were the things. They also serve ceviche, which I saw several folks ordering as I was eating my meal. As I was leaving, I called our youngest daughter with the admonition that she needed to get to this place.